Mr Foot is the most evil, nastiest and richest man in the world, who happens to have a monopoly on the sock industry. He treats his family, his factory workers and his community terribly – nothing stands in his way of making money! I’m originally from Hartlepool and moved to London when I was 18 years old. I now live in Hertfordshire with my beautiful wife and son and daughter. This is a cracking read. The characters are well written and I especially liked flip and flop. The story is action packed. Great fun. Really loved this book. My grandson and I read it together and we enjoyed the adventures of all the different garments working together as a team to save the world from the nasty Mr Foot. I would recommend this book to all grandparents out there who enjoy reading with their grandchildren. Great book, so very entertaining. You will never look at clothes in the same way again! Love this book, really fun! Great read for the kids, really sparks the imagination! A proper family adventure story – action-packed and bursting with unique characters! My children loved this book, hoping the author writes some more! 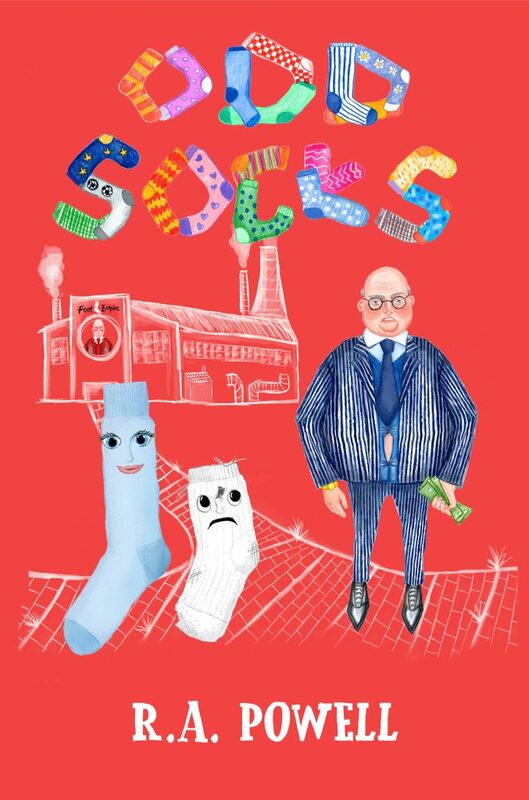 Can’t wait for Odd Socks 2. Absolutely fantastic book, would have loved it when I was six and loved it and I’m 30! Great read. I cannot wait for my nephew to be old enough to read it! Well done our Robert , I’ve been writing one for years a boy’s thing , might send you a copy of what I’ve done , need a professional comment young man . Fun to read and the kids keep going back to it!! A great debut work…fun, original and wonderful characters. Fabulous read from beginning to end, fun and emagination takes over, even 5be adult mind, just brilliant to read. A fun read which I enjoyed, but more importantly my youngest son loved it as well. After all that is what is important when it comes to writing children’s stories. This is not only a fun read for kids but very thought provoking too. I really enjoyed it as much as the children! What a fantastic read – we loved it and so did the kids. Highly entertaining and will keep you engrossed from beginning to end. Bring on Odd Socks part deux! Great fun,can’t wait for Odd Socks 2. A great story for all ages! Great read – roll on the time when Nancy is old enough to read it! A great read..we are ‘re reading as it was so good. My gr Grandaughter loves it.